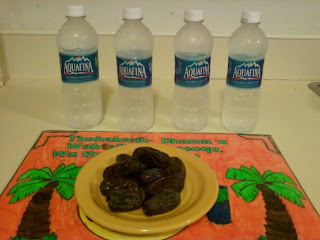 Planning ahead for Ramadan can be challenging with our already busy homeschool schedules. 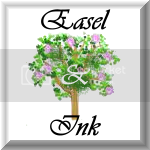 This passed month I have been working on some free printables that I wanted to use for my children but also share with you. 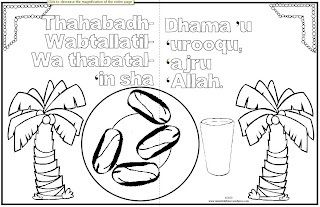 First is our Breaking the fast placemats. These have the du'a for breaking the fast on them. 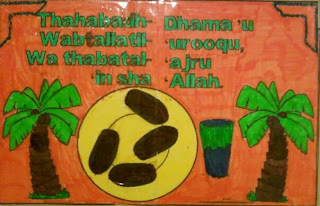 I made these for my younger children to practice the du'a so they have some involvement even if they aren't fasting. What a neat idea to have these sitting at the table for the children to practice while the fasting people in the house are breaking fast! I love doing simple coloring activities like this with my children. I talk to them and we recite to memorize whatever the focus is. In this case, when they color this placemat we will go over the du'a insha Allah. 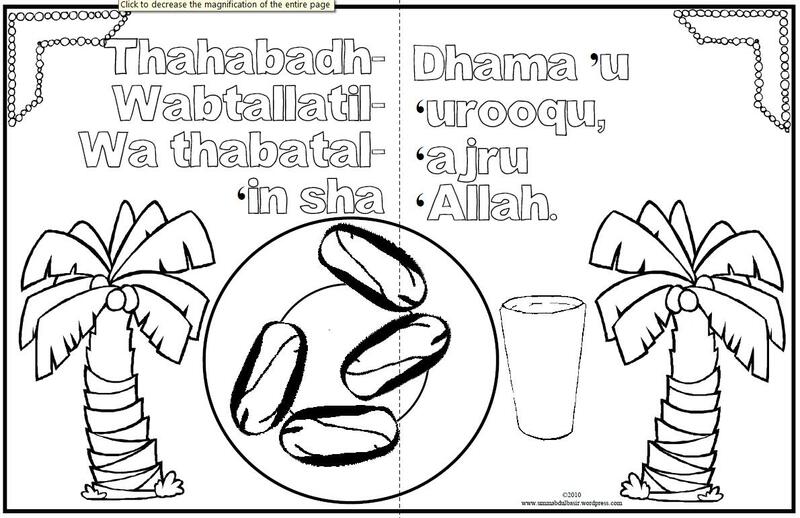 My little ones do not yet fast, but insha Allah this will help them learn the du'a for when they do fast insha Allah. My little ones take turns each day and prep the placemat with water and dates for us to break our fast,masha Allah. This year we have four fasting ppl in our house,Alhamdulilah! 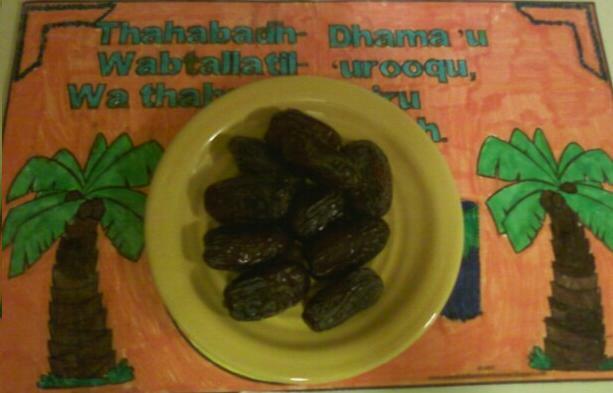 Everything fits perfect on the placemat,masha Allah.